The news of the death of one of our old boys is always painful and even more so when the family are neighbours. Mrs Childe lives at 7 Chadlington Road, next door to the Macdonells, whose son Alasdair was killed in October. Another officer, who was with Charlie shortly after he was hit, thinks it was an unaimed bullet, coming from some distance, diagonally across their trench. Charlie’s letters to us have given much pleasure, as have his visits – every term since the war began – and now we must face the realisation we shall see him no more. 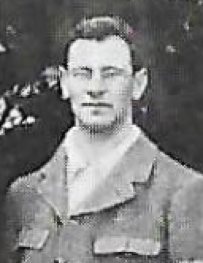 Captain Charlie Childe (Gloucestershire Regiment) has also been in the vicinity of Loos and reports further on the treatment of prisoners – this time by the Germans. 9/10/15. “It is impossible to realise what a war of extermination this is until you get here. In that last advance there was apparently mighty little quarter asked or given. We know that the Welsh and Royal Welch Fusiliers who attacked (with us behind them waiting our turn) had a taste of it. The attack was held up and the Germans called in the wounded: ‘Come in Tommy, we won’t hurt you,’ and so on. They then put them into a traverse and bombed them to death with hand-bombs, and the same thing was done to the Black Watch. 16/10/15. …this ought to cheer you up. It appeared in ‘Intelligence’ the other night, that an officer of the German General Staff had been found dead near the Hohenzollern Redoubt by Loos, and his diary quoted the following as being partly the words of a certain General and partly his own opinion. That our children and indeed our children’s children might be still be engaged in settling this conflict is unthinkable. A salient is always a cheerful spot. You get potted from all directions, sides, back and front, and in the same way flares go up all night too. Also you come within range of a variety of attractions, such as bombs, rifle-grenades, unpleasantly near snipers, pip-squeaks, whizz-bangs, and all the other devices of the people opposite, and lastly and best of all, their horrible minenwurfer. Charlie Childe was reading Medicine at Pembroke College, Cambridge, when the war broke out. 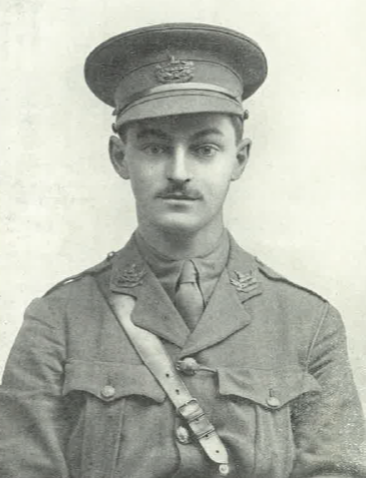 Having got a commission in the 8th Gloucestershire Regiment as a 2nd Lieutenant, he has achieved rapid promotion, from a full Lieutenant now to the rank of Captain. His life on the Western Front, as described below, is distinctly preferable to that described recently by our Old Dragons in Gallipoli. 6/8/15. 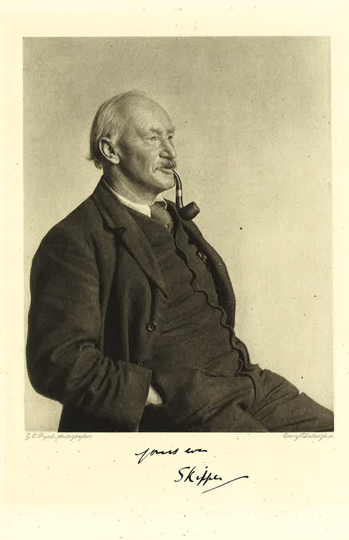 “I can’t plead the excuse of being at war for not having written before… for my part, I live, eat, sleep and feed in perfect comfort and feel no more uncivilised than at a garden party at home. One day Jack Smyth turned up to lunch here. His regiment was then in the trenches quite near. However, the trenches are on the reverse slope of a hill, so once out you can get on a horse or motor-bike, or your flat feet and go wherever you like. He chose the motor-bike, lunch here, and an afternoon’s shopping in a town quite handy; then in the evening he went back and took on the role of cannon-fodder for a bit during the evening ‘hate’ period. Another rum thing: the trenches are close together and so each evening the various regimental transports on either side come along with supplies, and the only available roads are well known to both sides. Consequently neither side shells the opposing transport coming up, because it’s a case of both or neither being knocked out, and ‘live and let live’ is more satisfactory when possible. Then there is long corn between the trenches, and so you can get out and sit about, if you feel inclined, quite happily. Apparently it has been done, but Jack wasn’t for it himself. Tomorrow the Padre and I are lunching in the town. A pal of his in command of a motor-ambulance is calling for us and bringing me back in time for an afternoon’s parade. We bathe in the river before breakfast – the whole section, 65 strong – and again after lunch, and generally go for a ride in the evening. By a strange coincidence, we have been informed that by the wish of the Curators of the Parks (here in Oxford) all those who bathe in the river after 8 a.m. will, for the future, be required to wear bathing costumes.